The Creatalicious Teachers! : HCA CHOIR CAMP 2012 REPORT - SPECTACULAR SUCCESS!!!! HCA CHOIR CAMP 2012 REPORT - SPECTACULAR SUCCESS!!!! 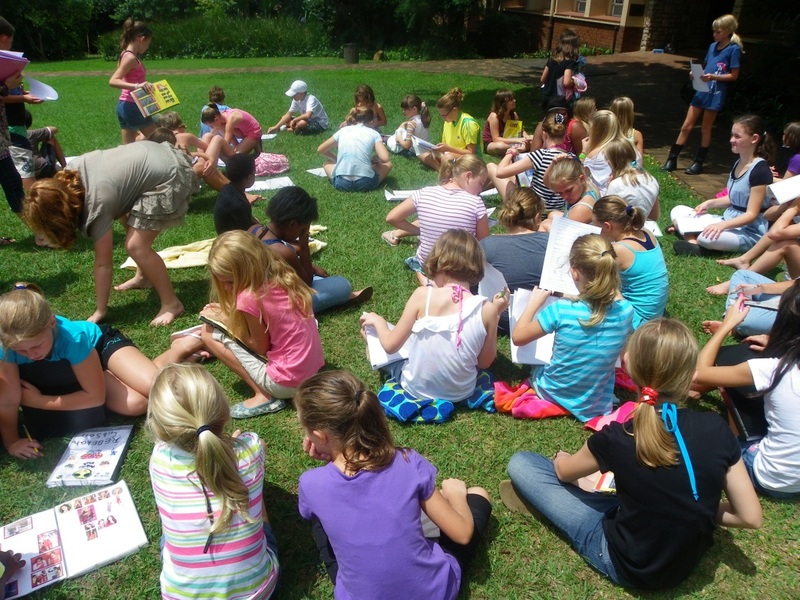 On Sunday 19th February 49 excited children arrived at Kearsney College for our second annual Choir Camp, and what a spectacular success it was! Huge thanks to Ms Jeanine Du Casse and Mr Senzo Myezi for their roles in it. Highlights for the children included the excitement of staying in the dorms there, the outstanding meals and swimming in Kearsney’s pool. We enjoyed a musical workout with Mr Bernard Kruger, conductor of the world renowned Kearsney College Choir. This is the kind of experience that money just can’t buy! We played our own version of “Noot vir Noot” and my elder daughter Sarah came and took a dance/choreography session. When I asked the children if we looked alike the answer was “No, she’s prettier than you”! Ah, out the mouths of babes! Keeping it in the family, my younger daughter Amy assisted me with the sectional rehearsals. Clearly I should have had more children! In total, we sang for 10 hours, in full voice, giving 100% energy and focus and I was blown away at the children’s resilience and lack of complaints. The hard work paid off at the concert for the parents on Monday afternoon. I was so incredibly proud of the children’s performance of the 6 songs we learnt and I think they were too. It’s hard to explain what an achievement this is in such a short space of time. We are tackling increasingly difficult music and the children continue to meet the challenge head on. The Choir Camp is proving to be an essential part of the life of the Choir, providing not only training and bonding time, but a fun, motivating reason to sing in the choir at HCA. I am thrilled to have the opportunity to go away with the children at the beginning of each year and am grateful for the support of the parents and the school in achieving the goal of developing greatness in every singing child!